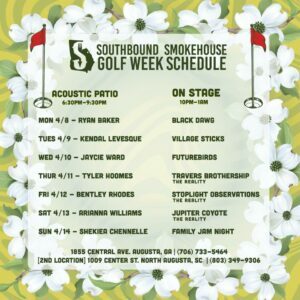 Sunday, April 14th, 2019 | 6:30 PM - 1 AM | Southbound Smokehouse Come out for Family Jam night! Shekia Chennelle will be on the Acoustic Patio and the Family Jam will be taking the spotlight on the Main Stage! Visit the Southbound Facebook Page HERE!